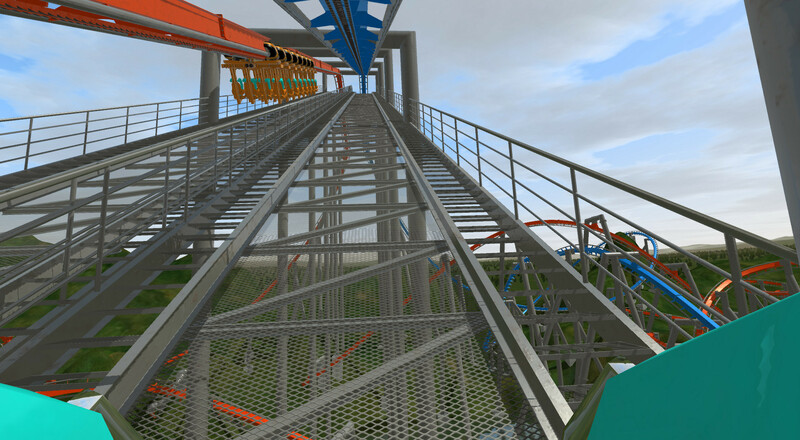 I thought I would start exploring the Nolimits 2 roller coaster simulator and creator with using some coasters which I have actually ridden and which have been modelled with care by members of the community willing to share their creations with others. 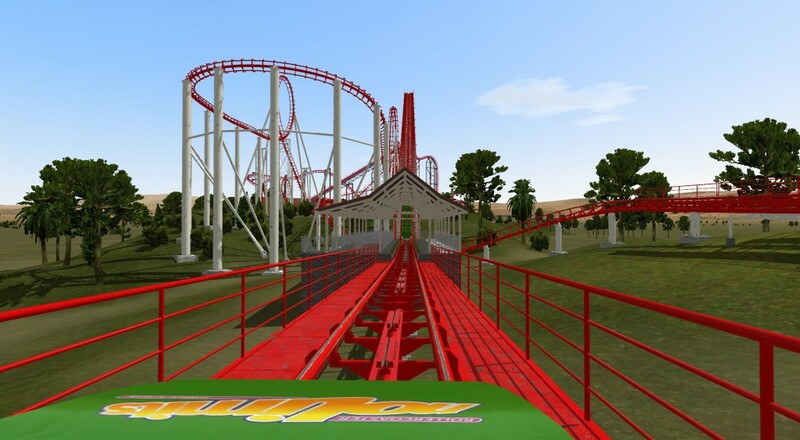 Some links to community sharing sites with downloadable coasters and member ratings are given in the previous post mentioned above along with some useful tools. The original 1990 Viper has been modelled by “southpuddle”. 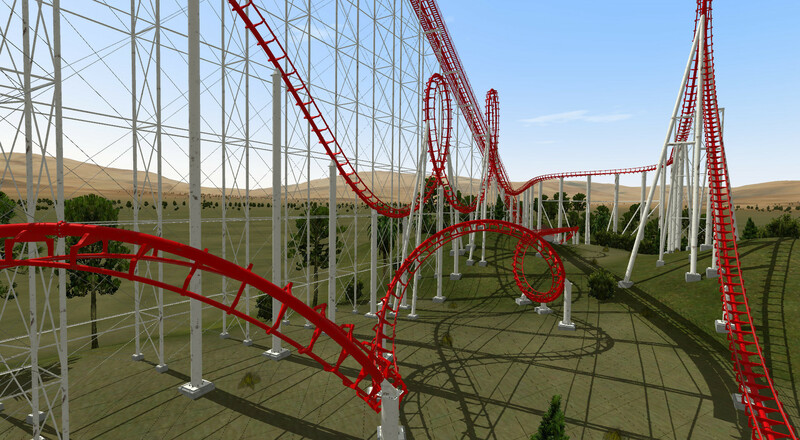 The drip away and to the left at the top of the lift hill was just as I recall the real coaster. 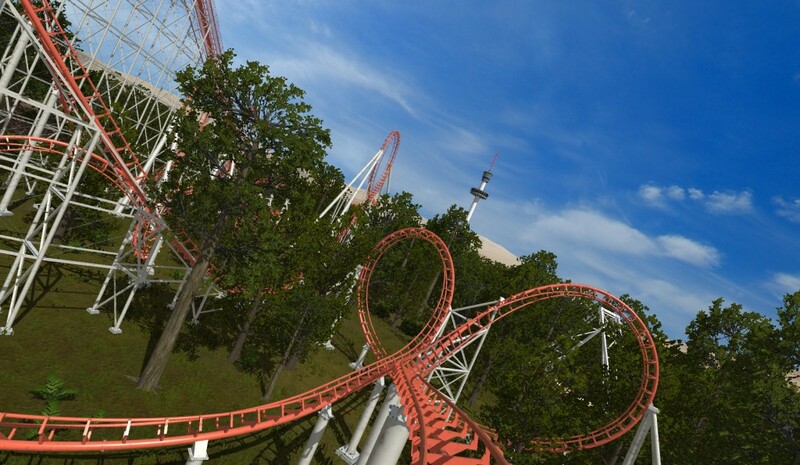 Noce smooth loops, boomerang and corkscrew… seven inversions in total. 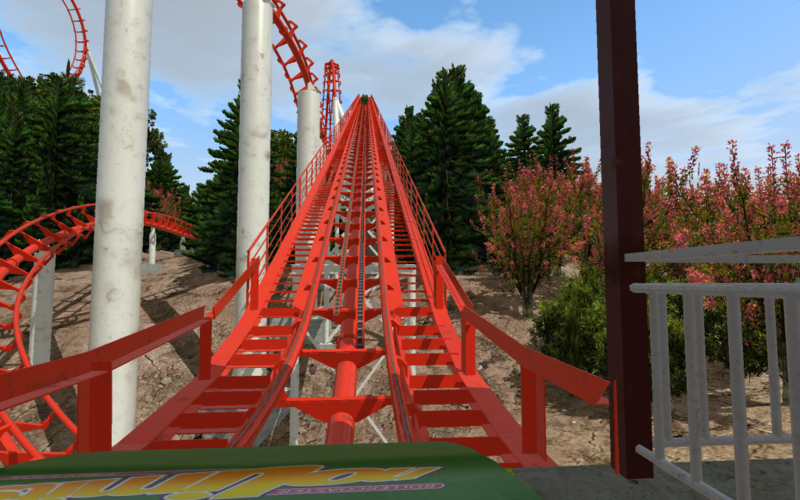 This was imported from a NoLimits 1 .nlpack using the Nolimits Track Packager to extract the .nltrack for use in NoLimits 2, and the adding the TeraTextures from NoLimits 1 as explained in a previous post. 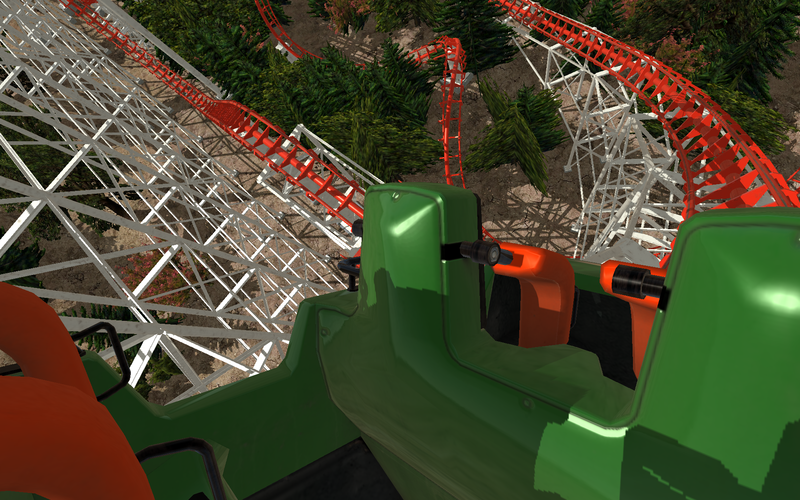 There were a few issues with trees overlapping the track were easily fixed in the NoLimits 2 editor. 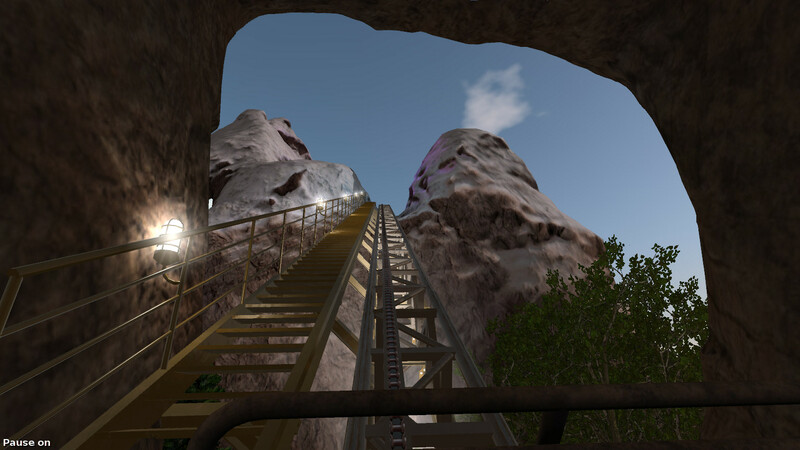 A second, and I think nicer, Viper re creation by “Virtualspeed” includes nice distant mountain scenery, the Magic Mountain observation tower and a swing boat ride to add atmosphere. 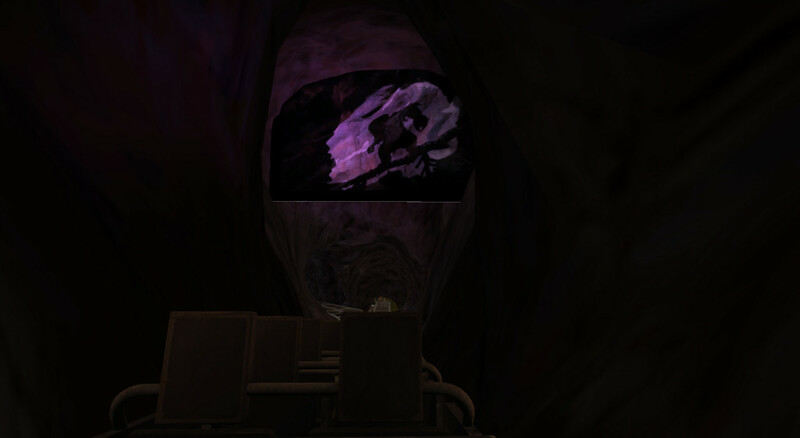 On loading ViperMagicMountainCalifornia_20313_1.nl2pkg in NoLimits 2.0.7.4 (64 bit) I had a script error popup, but the coaster ran anyway. The ride was excellent with really nice pace and felt realistic. The foliage was at a good distance to the track and needed no adjustment. 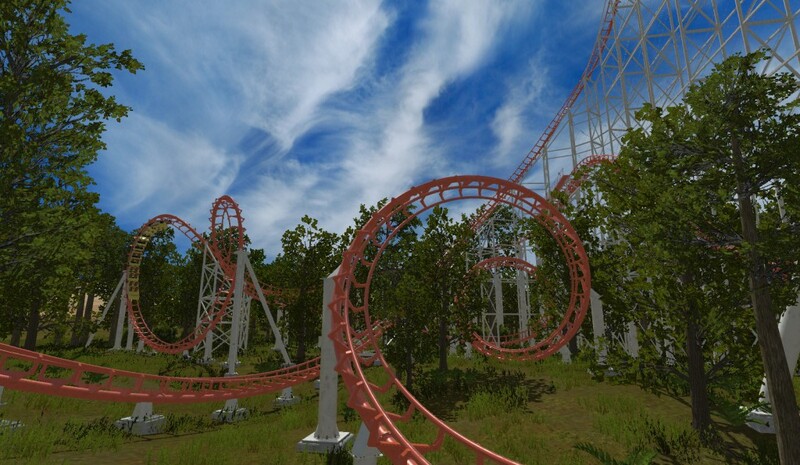 It turns out that a simple Viper recreation is also included in the standard coaster library released with NoLimits 2. 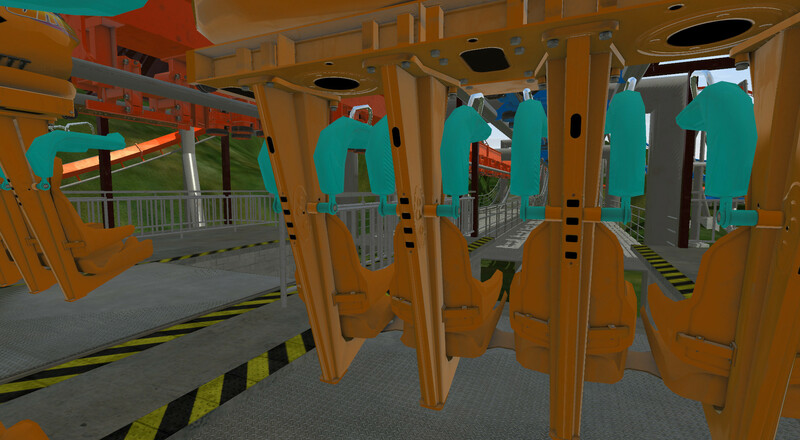 It can be found in the “Two Arrows Park” and then by selecting the Viper coaster from the “Ride List Panel” (via F5 key). Originally called Dueling Dragons. 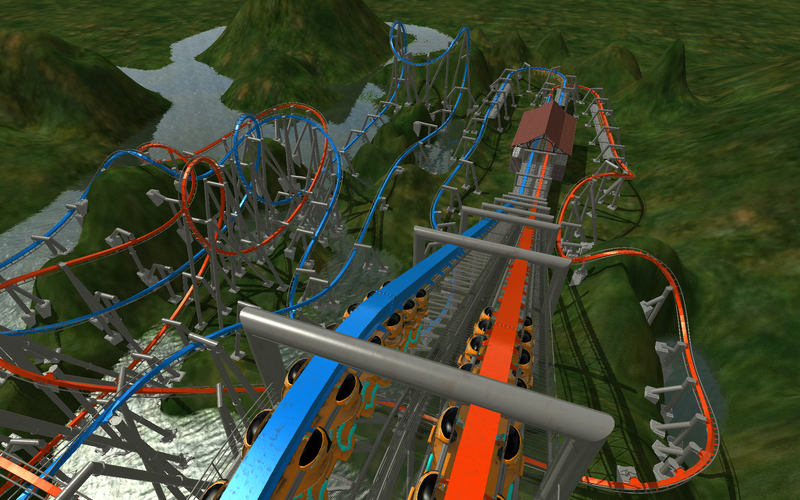 This was a dual track racing coaster, with the trains originally named as the “ice” (blue) dragon and the “fire” (orange/red) dragon. 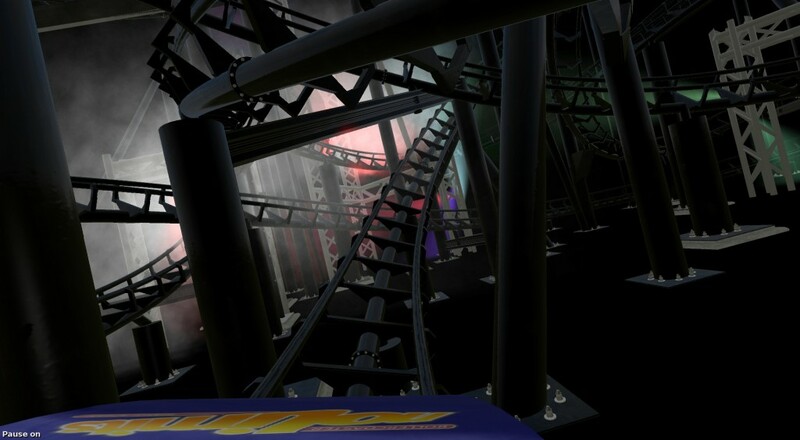 The coaster was changed to “Dragons Challenge” without sychronous launch when the Harry Potter/Hogwarts themed area opened alongside the coaster in Universal Studio’s Island of Adventure in Orlando, Florida. 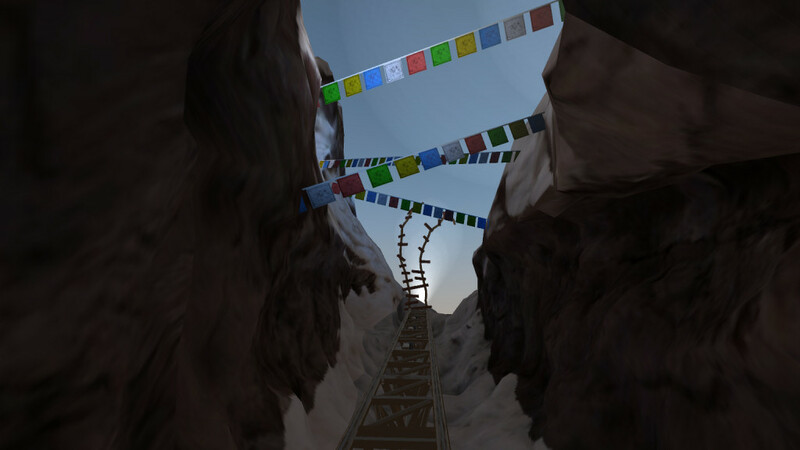 This version of Dueling Dragons has been modelled by “duduchianca”. He made the twin coasters by modelling one continuous loop which switches station sides half way through. A few issues with trains being allocated to track sections or “blocks” and hitting one another needs to be fixed. 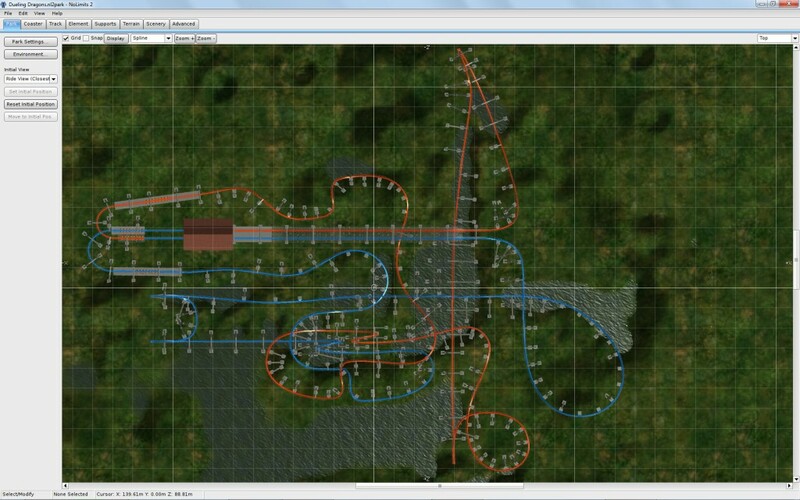 The simple fix is to change the number of trains from 6 on track to 2 in the editor… then you can ride “ice” and “fire” alternately without any stops. 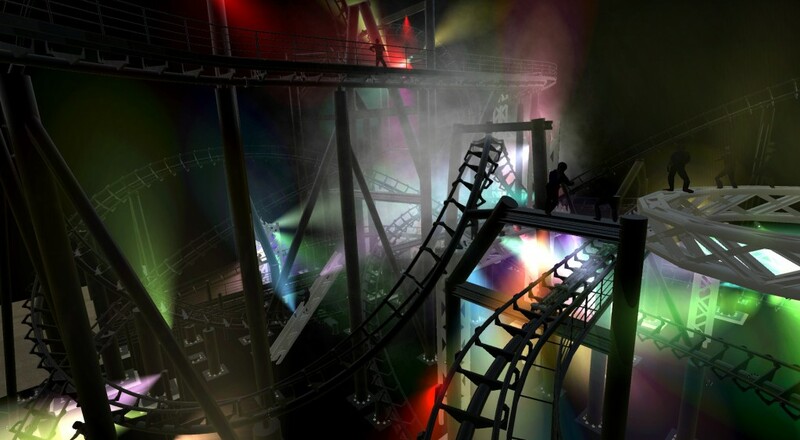 A dark ride roller coaster with an Aerosmith theme… by Steffenden1.dk… this is an excellent recreation with good lighting and sound effects. 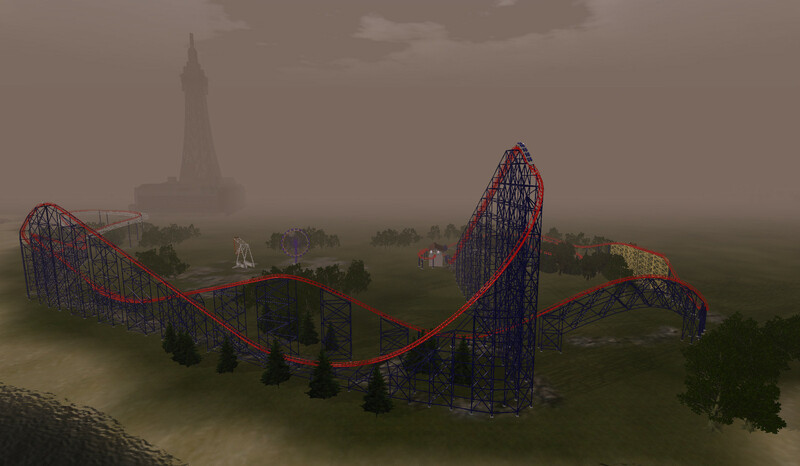 The Pepsi Max Big One as modelled by ATJakee provides a nice track which closely models the actual ride in Blackpool in Lancashire England. 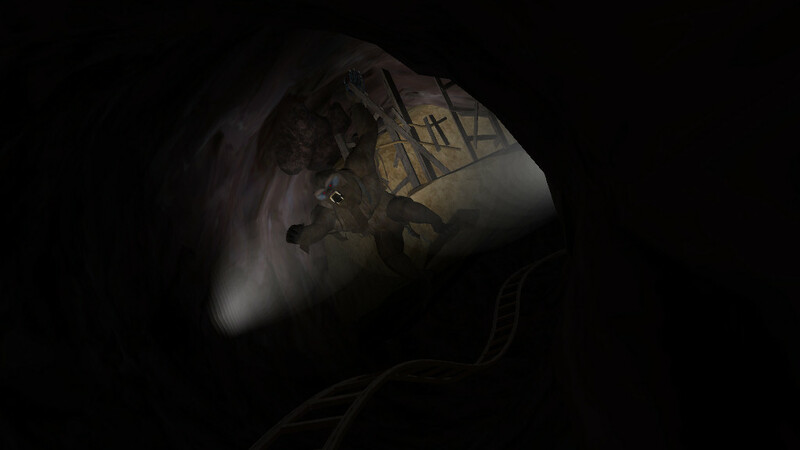 I was missing the nearby sea and some scenery items, so I modified the terrain to have some water off to the left of the first drop. 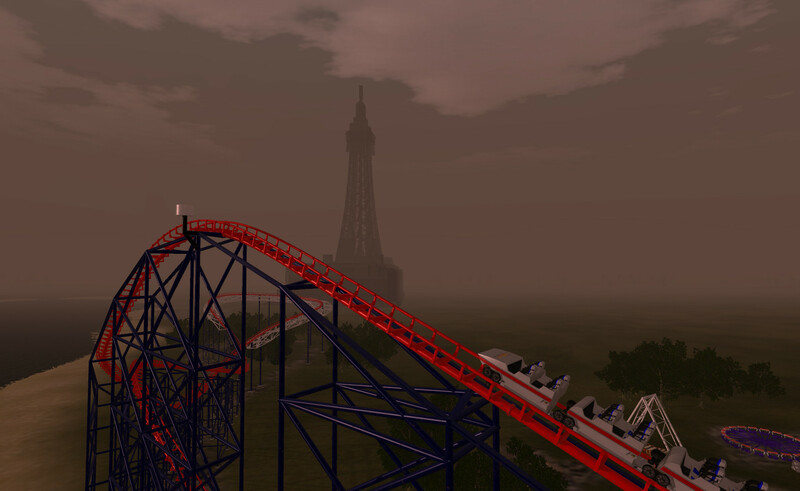 Adding in a couple of standard library assets including an “Enterprise” ride which is actually at the Pleasure Beach gave some interest… but it definitely needed Blackpool Tower in the distance. Importing a Google Sketchup version of Blackpool Tower by Damo and converting it to .3DS format did the trick… as well as adding a little sea fret to give atmosphere. 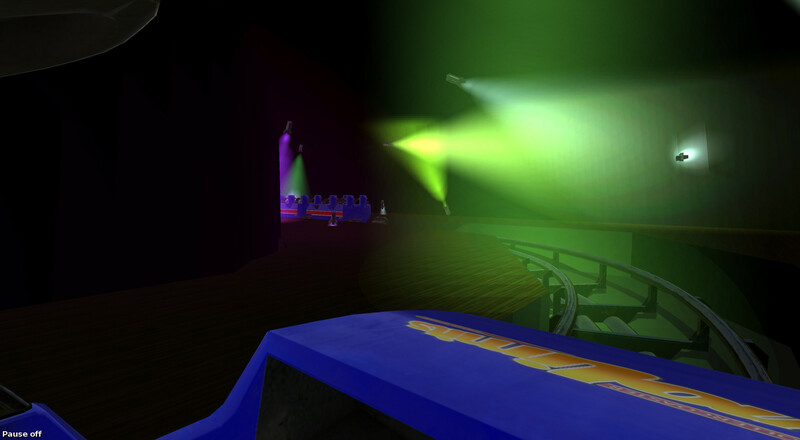 This entry was posted in Games, Virtual World and tagged disney, Dueling Dragons, NoLimits, Roller Coaster, Viper. Bookmark the permalink.